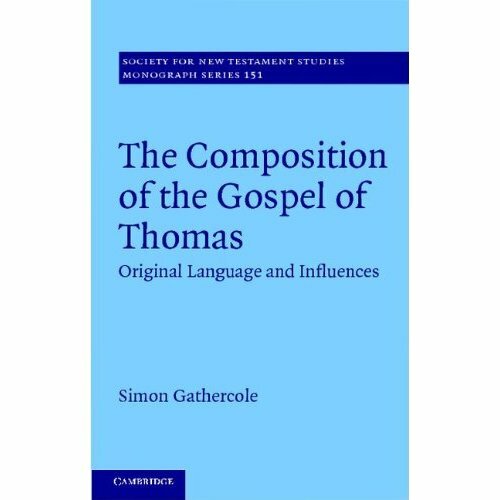 Today is the official publication date of fellow blogger Simon Gathercole's book: 'The Composition of the Gospel of Thomas'. I even received a phone call from an excited friend just to inform me that he had sighted the book in the CUP bookshop in the centre of Cambridge. So it's officially out. This book represents a major challenge to those who maintain that Thomas has early, pre-synoptic material, or that it has independent access to Aramaic traditions. Not quite TC, but interesting anyway.